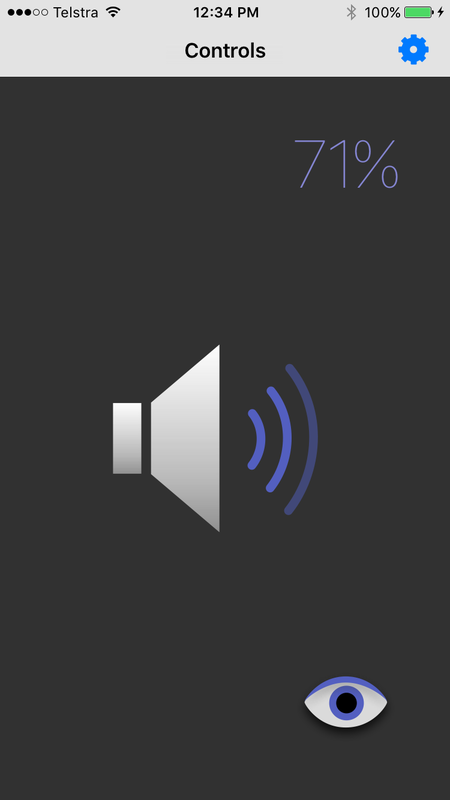 The Volume Remote iOS app provides remote control of the volume of your MacOS (OS-X) computer. You mute the sound. You can also remotely put your computer to sleep. Great when listening to music or watching a movie on your computer. The Volume Remote app can be used from any room in your house, or the convenience of your arm chair. The app uses your wireless network so it doesn't suffer the drawbacks of infra-red controllers. Free companion software must be installed onto your OS-X computer. Download the JazzRemoteServer package and open it on the computer you wish to control. It installs the server software and a System Preference Panel to control the server. (This server software is the same software used with the EyeTV Remote app. It only needs to be installed once). You must also purchase and install the Volume Remote App from the iTunes store. * Compatibility for 10.7 was originally included, but remains untested. Only OS-X 10.9 or later is supported.